I used to live in Washington, DC, where the summers are sticky, hot, and gross. My apartment was only a 10-minute walk from my office through a lovely part of town, but all summer long I found myself dreading the way that a few minutes in the stifling summer heat would transform me into a red-faced mess with frizzy hair and rivulets of perspiration chasing down my neck. At my wits end one morning, I opened the freezer in search of something to help keep me cool. That's when I spotted the Popsicles. Icy cold, sweet, refreshing. I grabbed one and my keys, and headed out. It was perfect! Down the street I walked, Popsicles in hand, smiling and feeling like a kid with my bright orange treat. It was still hot, but somehow not as awful. All summer long I walked to work this way, arriving at work with slightly sticky fingertips and bright pink (or purple or yellow) lips. Since moving back to New York, I haven't had to deal with an unpleasant commute. My apartment is less than a block from the train that lets out directly beneath my office (just like a Senator!). I LOVE that my commute is so easy, but there are definitely times when I think back to those sticky DC mornings and miss the excuse to start the day with a frozen treat. Last summer, I read about a neat trick that got me very excited. 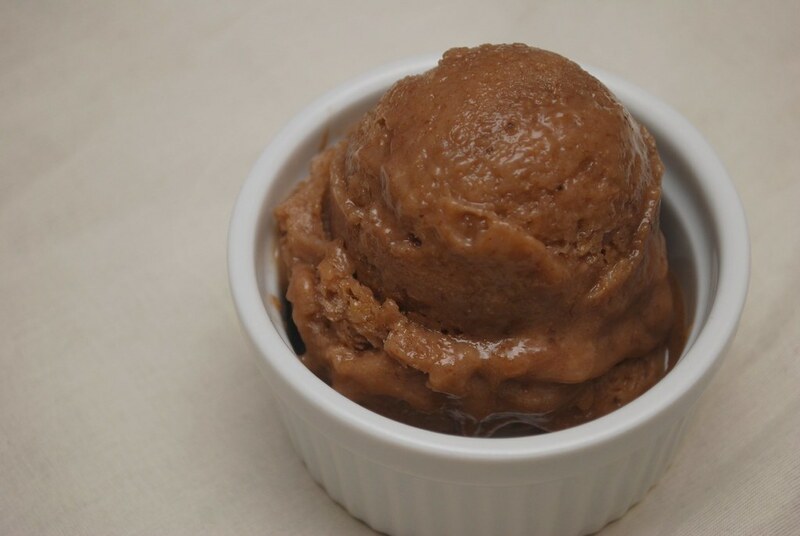 Ripe bananas, frozen and pureed, taste just like ice cream! 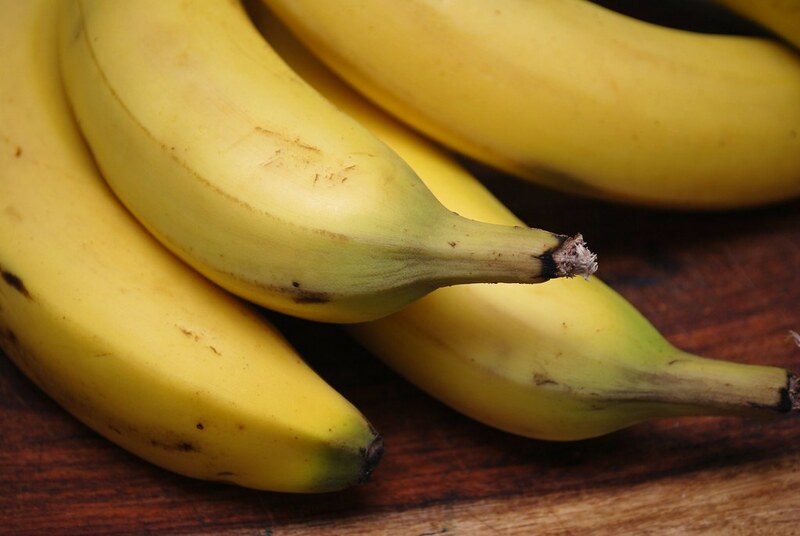 The natural fats and sugars in the banana keep the fruit creamy even when frozen without the addition of any other ingredients. I was fascinated! I tried it at once, quickly pureeing a few frozen bananas I'd had sitting in waiting for the next batch of banana bread. It was fantastic. This original article suggested this as a healthy dessert, but remembering my Popsicles, I've taken it one better. Ice cream for breakfast! We all eat bananas at room temperature, so why not, right? Add a bit of peanut butter for protein and a little cocoa for flavor and it's a perfect way to start the day! Peel and slice the bananas into small chunks. Spread on a tray and freeze overnight or for at least 4 hours. In a food processor or blender, combine the frozen banana pieces, peanut butter, and cocoa. Puree until smooth. 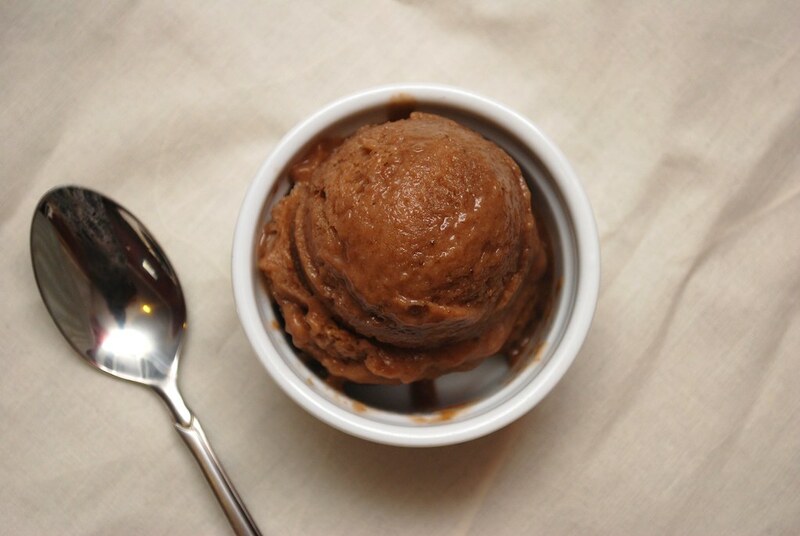 Eat right away (it will have a soft-serve like texture), or refreeze for 2 hours to give it a more scoopable texture. Store in freezer in an air-tight freezer safe container. Can be made up to 48 hours in advance.